Deadline for submitting your projects is Wednesday, May 14 at 11:59 PM US Central time. This is Lynda hosting this week's Inspirational! Our theme this week is all about Friendships! 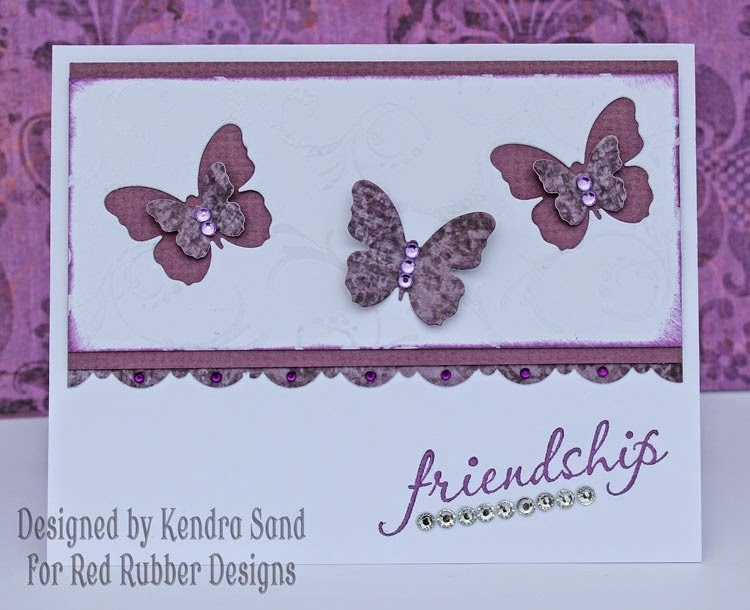 This week I want to see you celebrate friendships in your life through use of your stamps. This can be an image colored to look like a special friend or sentiments that pay tribute to a special someone in your life. I really want to be able to look at your project and see you celebrating your friendships. For my card I used the Joyful notes and the Butterflies are free stamp sets. I first stamped the main image onto white cardstock using Memento black ink. I then colored it in with my Copic markers. I colored her to look like one of my best friends. I then stamped the sentiment onto white cardstock and colored it with a pattern similar to the bottom of the other image. I then used a brown marker to edge both pieces. I then created the pattern on the card base with scraps of pattern paper.